In the disposable society where we throw everything away when we’re done with it, it’s no surprise that we might take the same approach to dealing with other people in this manner. In our society we are trained to accept the idea that all of our relationships are temporary; the teachers who instruct us, the sales people to help to provide us with what we need or desire, our friends, acquaintances and even our parents and other relatives. Especially these days, we all have more independence than in the olden days. In the olden days (not that long ago) if you did not have a family to help protect and support you or part of a community that would help you to survive in a more primitive world, it was likely that you would not live very long. In as little as 150 years ago, we were a more communal society; today, for the most part, we are all individual units fighting for survival one against the other. This individualism is being promoted 24 hours and day, 7 days a week in every type of media that we are exposed to. As active members of this society we do our best to keep our relationships superficial enough to stay somewhat reserved or disconnected enough to be able to move on at the first sign of an open door leading to a new experience. Yet, with all this programming, every once and a while, our conscious is awakened by being deeply moved by another human being; additionally, this part of our psyches can become energized by separation from a non-human interaction, possibly an environmental form of nature, like a plant, a particular view or activity in nature or even an animal. In that moment, we acknowledge a deep sense of love and suffer varying degrees of sadness or depression from the separation, grieving from the loss. All making one consider, “Is there something more?” Only to be followed by the prayer, “Oh, dear God, please, no.” Begging the deity for protection from this type of connection again because the loss is too much to bear. There is one relationship that society will nod a blessing to that is allowed to survive the test of time, if it’s possible. If you dare attempt such a relationship; and this is represented by the institution of marriage. I have been in the business of uniting people in holy matrimony, and I still perform this ceremony on occasion under the right circumstances. How romantic it is to see two people standing before family, friends and the community at large pledging their love one to the other and promising to honor, love, cherish, respect and protect each other for life. In that moment we all send as much support as we can muster in support of these two individuals… which, sadly, is not much. Behind the soon-to-be-husband’s back, the bride is coached by friends and family to, do this, don’t do that; don’t let him make you do this, don’t let him think that’s going to last forever, and for god’s sake make sure you get the word, “obey,” removed from you vows. Likewise, the groomsmen and coaching the soon-to-be-married groom, “You can back out now, there’s still time,” along with a litany of caveats and last-minute-romp offers from exes and others. Not to worry, if you change your mind in time, you can get an annulment. And divorce is a larger industry than marriage ever thought of being, so your word? It’s not worth much. Then, as if the result of a miracle and against all odds, couples make it for the long-haul. 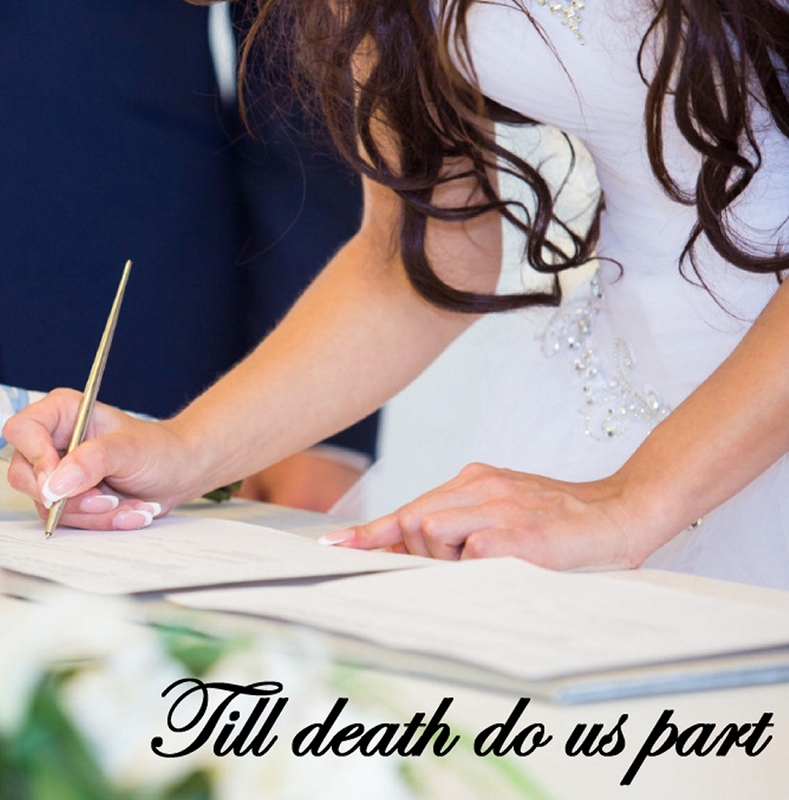 Unfortunately, as the officiant, I would like to think that all of the marriage ceremonies I performed lasted forever, when in fact, half of them ended in divorce. And I pray that you find that everlasting love both within yourself and with the person with whom you can join for the remainder of this life’s journey; if that’s what your heart desires. I believe that an evolution is underway and as we evolve, we will return to love, loving each other and a tendency to begin to practice a love so great that in retrospect, the greatest loves we have known thus far will pale in comparison. And we have loved… Oh, have we loved. Author davidmastersadminPosted on April 13, 2016 April 12, 2016 Categories BlogLeave a comment on Are You Disposable? Okay, just for the sake of this exercise, let’s say that I have a philanthropic billionaire who wants to give you – yes YOU – $20 million. The billionaire wants to see that his $20 million goes to a good cause and will help to make the world a better place. There are no educational or experience requirements to receive the money, just a good heart and a good idea. You are not allowed to simply donate it to an existing organization. You must create a new non-profit organization that will help the make the world a better place. This is not a contest, and there is not simply one block of $20 million, there are hundreds of blocks that he and his friends want to donate to regular people, just like you, who are in the trenches of everyday life. So, you – if you decide to participate in his generous offer – must submit a simple one page description of how you would use his monetary gift to help make the world a better place. What Would You Do with $20 Million Dollars? To help make the world a better place? You might ask what how you will be compensated for your efforts of managing his financial gift? You may hire yourself to work for your organization, if you like – but if you do – you will have to perform specific job duties from the office of your organization and you must work a 40-hour week, without benefits and/or vacation for a modest wage of no more than $1,200.00 a month. The salary limit applies to everyone in your organization; no one may ever be paid more than $1,200-a-month. The satisfaction that comes from doing a great service for both this philanthropist and the world at large by creating something amazing, that someone else may not have been able to accomplish without the combination of his money and your heart-centered vision… not much else. You get $20 million to manage. You can choose to hire yourself (or not) to manage the $20 million. If you do, you may only receive a $1,200 monthly stipend and you must work a 40-hour week without benefits or vacation time. What Would Your Project Be? With my clients, every one of them immediately has an idea already in mind and enthusiastically produces a one-page description of their project… Just in case there is a philanthropist (and there may be) that wants to support their efforts to help make a better world, both in the now and for future generations. I have also offered the scenario to strangers – people I don’t know and who don’t know me – and their reaction is very different indeed. For all they know, I could be the philanthropist with a $20,000,000 check in my pocket (and when asked, I’ve neither confirmed, nor denied, such an idea). Most of them shrug off the offer as a ridiculous proposition. And indicating that their life is okay, so what does it matter about anyone else? Author davidmastersadminPosted on April 12, 2016 April 12, 2016 Categories Blog2 Comments on What Would You Do with 20 Million Dollars? There are some people (usually people close to us, within our inner circle) who just seem to keep attacking us, talking about us behind our back, disrespecting us and getting on our last nerve. It’s just so frustrating. What I find most interesting is that if I am able to work with this person, more often than not, the person has accepted the role of the victim. Something has happened in this person’s past that has made them feel as though people are looking for opportunities to victimize them. This applies to everything. You will find whatever it is that you are looking for. If you’re looking for someone to victimize you, you will find what you are looking for. In most cases (unless you’re involved with a psychopath) things are not always as they seem, and they appear the way do because we project our perception onto the situation or circumstance. For example, let’s say I’ve worked very hard to raise my children to be respectful and controlled in public. I’ve expended a lot of effort and commitment and my children are always well-behaved in public. One day, following an intense day, I just wanted to go to a restaurant and enjoy a peaceful meeting on the patio, relax and watch the sunset; an effective method of centering and getting in tune with myself. In walks this man with three kids that are totally uncontrolled, the kids are running wild, chasing each other crawling around under the tables, invading other peoples’ space, being noisy and disrespectful. With each passing moment, I am getting more and more agitated. I decide I am going to confront the man and suggest that he learn how to manage his madhouse because he’s disrespecting me and everyone else out here, which I can see are also very annoyed. What I thought was a personal attack on my right to a peaceful, relaxing afternoon could instantly reframe if I allow myself to be open to what is actually happening; if I allow enough space for more information. If I have been in an abusive relationship, future relationships may suffer from my being on the lookout for any indication that I might be being set-up to be abused again. This can make us superbly sensitive to the slightest body language, voice inflection or gesture because we are on the lookout for these clues. Because we are seeking them, we find them (whether they are correctly interpreted, or not). What a waste of effort, concern and potentially hurt feelings we put ourselves through in order to protect us from demons that may not exist. If you go to a car lot and find a car that you like; you think, “Oh, what a wonderful car. This is so nice and unique, a great fit for me.” From that point on – though you’ve never seen one before – now you see people driving these cars all over town. This recognition triggers what is known as the reticular activating system or RAS and causes you to notice that thing that has been brought to your attention. So if you’ve been with a controlling person – and have sworn off every being controlled again – the slightest gesture could be interpreted as an assault on your individual rights and you fight to defend yourself against your assailant. When would now be a good time to be looking for the beauty in all things? If you seek it – you will find it. Author davidmastersadminPosted on April 11, 2016 July 1, 2017 Categories BlogTags find what you look for, hide and seek, seek and findLeave a comment on Why is Everyone Always Bugging Me? Can you be here and somewhere else at the same time? Does it sound like it is impossible to in two separate places at once? If it does, congratulations are due you because you ARE in at least two places at once. Certainly the quantum physicists agree that if you are here – the you that you know – you also exist somewhere else, with possible differences. In this respect you are here, and you are there – many theres – simultaneously. There is also the now component. Who is defining the, “now?” Due to our current level of understanding, we see life as linear, on a time-line with a beginning and an end. But the quantum inclination is to try to understand that time is a tool that we invented and doesn’t really exist in the quantum field as we would define it. In this respect all things, everything, is happening simultaneously; there is not past, present or future. As humans, we have a common belief that we are made up of three separate parts that combined make up who we are expressed as humans on this planet. The basic components are our body, soul (or mind) and spirit. 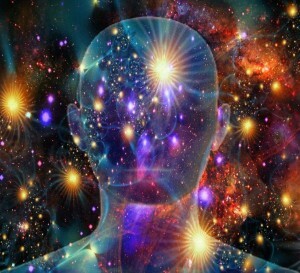 Before we are born, we exist as spirit – and our spirit has a physical representation at the position of origin (which I will heretofore refer to as, “the other side”). We often think of the other side as being a far away distant place; which it both is, and is not. When our physical components are assembled to begin our human experience, much of our spirit enthusiastically teams up with our burgeoning soul and forming body, while our spirit still remains on the other side, simultaneously. Our spirit is having two experiences at the same time. Our spirit is here, in the present, having all these amazing experiences in the first person, while our spirit is also experiencing our life from the other side, like watching a movie. From this side, our view is limited. We are restricted by only having access to the information that can be obtained via our senses from our perspective, while the greater part of us – our spirit on the other side – sees a bird’s eye view of our experience as it plays out for us in real time. Having spent some time with young people along the Autism spectrum – especially those with fewer abilities to function well in our environment – my initial thought (and most loving parents concur) was that their spirit was more angelic in nature. They do not appear to have the proclivity towards what we would consider negative emotions. From our perspective they seem to not have the ability to be selfish, mean or hate but are more selfless, loving and tender. The attributes we might give to the idea of a loving cherub. Nowadays, I’m more apt to grasp the idea that these low functioning individuals have less vested in this life experience, while most of who they are remains on the other side. So, if you’ve ever wondered if an Autistic child who appears to be low functioning is aware of their surroundings, the answer is ABSOLUTELY. The greater part of themselves, the one with the aerial view, sees everything, understands everything and loves more than you could ever imagine. We might think (or may have been told by doctors or other professionals) that this child will never have the ability to communicate fully, integrate with society, or be able to express themselves (certainly not love) in an effective manner. Yet, the other part of them is totally engaged in their journey, fully understanding and loving every minute of every detail, and you… even if their body’s physical experience has them in such a position as to not to be able to communicate it well. Author davidmastersadminPosted on April 10, 2016 April 10, 2016 Categories BlogLeave a comment on Is It Possible to Be in Two Places At Once? 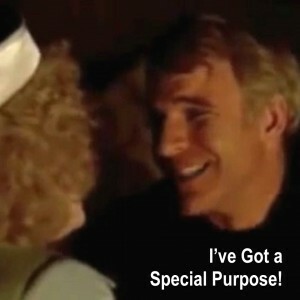 Who can forget Steve Martin’s enthusiastic proclamation of his, special purpose? This scene is a comical introduction to one of the most meaningful components of one’s life. In some cases when I meet a new client, he or she may not know what their mission in life is; most of the time by the time I meet up with someone, they are already keenly aware of what their special purpose is and are already seeking out opportunities to get their message out, to make their mark, to leave something of importance behind when they leave this life as we know it. Most of my life I’ve been blessed to be in the presence of individuals experiencing epiphany massively life-changing moments in their lives. It’s one thing to attract individuals well on their way, it is entirely another when someone, who was previously unaware their life could have any meaning or purpose suddenly comes to life with an unparalleled enthusiasm to set the world ablaze with their special purpose. How Can We Have a Sense of No Purpose? If each of us comes to this planet with a unique set of skills, personal message and/or special purpose to share with the world, how can we possibly not know that we have such a destiny and it is waiting to be awakened from within? There are so many speculative hypotheses concerning the “why” of our ability to sink into a complacent vibration of simply surviving and becoming content with just being a cog in the machine. They cover a massive variety of possibilities, everything from, “the devil made me do it” (or not) and conspiracies suggesting tampering with the water supply and chemtrails. I have concluded that we are more the result of a well conceived and executed social structure that makes us feel a certain level of comfort and security by accepting our lot in life as being of little significance. Although some opportunities are available for those who seek a little more significance by investing in education or to be lucky enough to be born into a prominent and successful family. 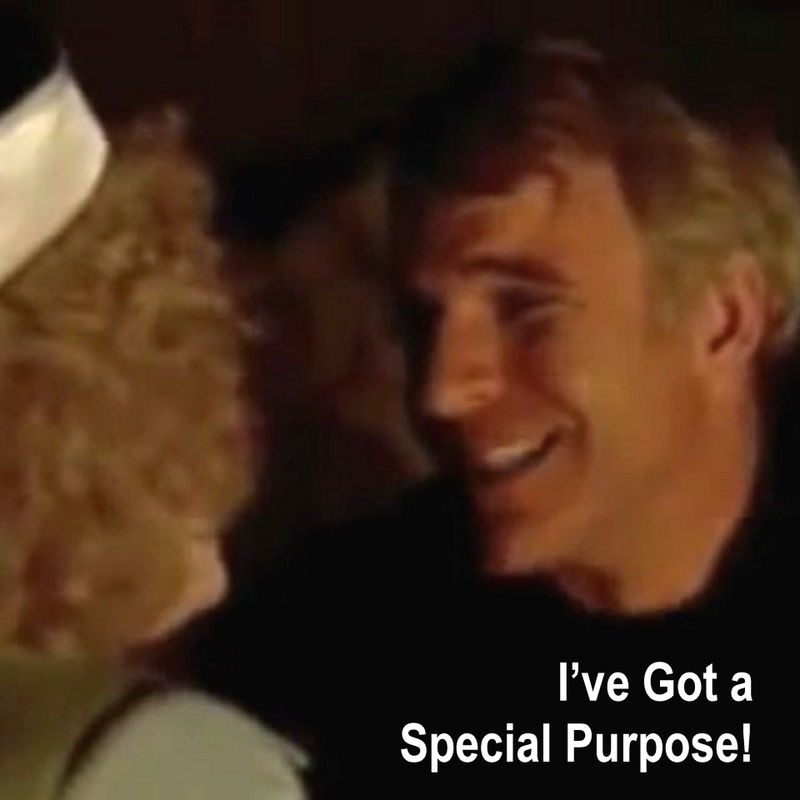 Author davidmastersadminPosted on April 9, 2016 April 9, 2016 Categories BlogTags steve martin special purposeLeave a comment on I’ve Got a Special Purpose! While this reflection can be good, it likely will include a variety of problems, dissatisfaction, discouragements and ill feelings in review; and it might cause one to question, “What’s wrong with me?” Launching another search through our mind’s hall of records, reviewing even more painful shortcomings, mishaps and victimization… the process can be daunting and lead to depression. In the past, I would work with clients, assisting them in uncovering the deeply buried and often painful experiences to uproot them, deal with their implications and help them to move on. This grueling process was painful and an emotional drain; more so for the client, but also for me, being somewhat empathetic. Digging through the past, dredging up tragic moments, causing people to relive each horrific moment of their past that had been concealed from their conscious awareness, so they could just get through their day to day business of moving through life, with some sense of normalcy. Though the process is not enjoyable, life on the other side of the process is cleansing. Once dealt with the deep emotional suppression is released and the subject feels a distinct release of a heavy burden and emerges with a new sense of vitality, liberty and joy. In this respect, the work was worthy work and satisfying in the long run. Thanks to my thirst for Constant and Never Ending Improvement (thanks, Tony) I am ever on the search for new emerging technologies and techniques for integration into my practice. This quest for new knowledge led me to uncover therapeutic concepts that were nowhere to be seen on the radar of my awareness. 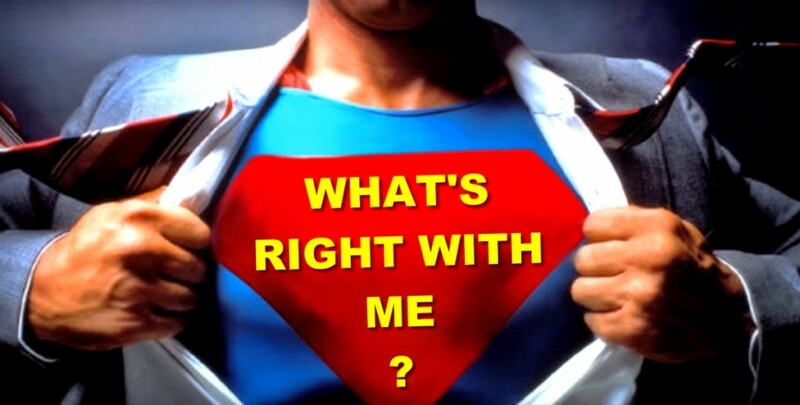 Asking “What’s right” with us helps uncover our talents, strengths and special abilities. 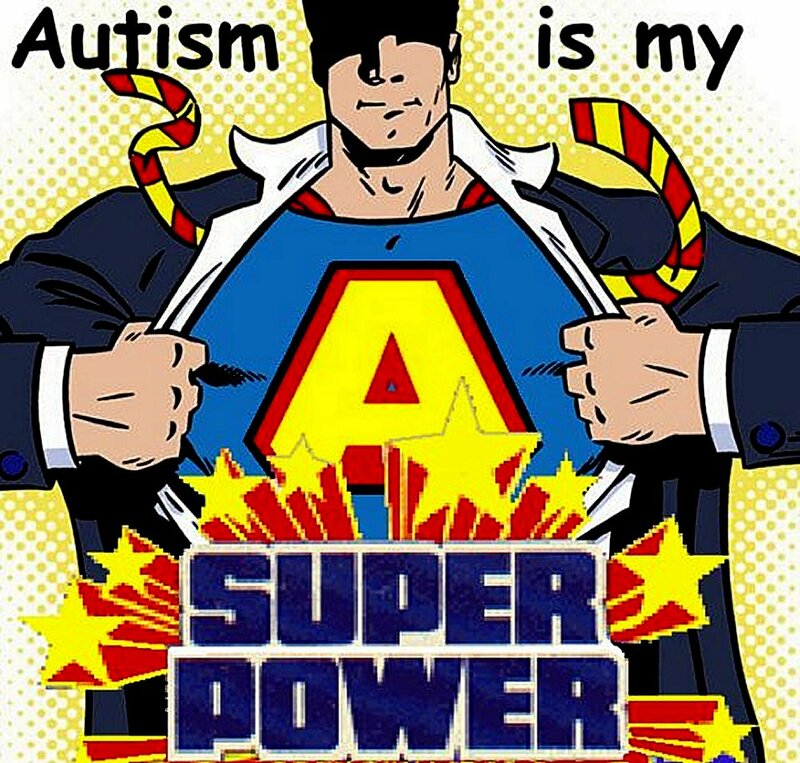 Embracing our superpowers while wielding those skills and abilities responsibly make us uniquely equipped to have whatever we want in a way that cannot be duplicated by anyone else. If you look at the personal histories of all the most successful people throughout all recorded time, you will find that their individual successes are not duplicatable. As many have tried to follow in the steps of a heroic overcomer or high performance superstar, embracing their unique individuality is often a key component; and since no two people are the same, it is also true that given all the same circumstances and techniques, actual results will vary. That’s why there’s no perfect cookbook for success. It’s an individual journey, no one has experienced before you. Your story is the best story, yet. Author davidmastersadminPosted on April 8, 2016 October 3, 2016 Categories BlogTags quest, special abilities, superpowers, talents, who am i, you are the heroLeave a comment on What’s Right with Me? In my work with business people I work with all kinds of folks from all kinds of backgrounds. Many of the most successful businesspeople that I work with are Judeo-Christian (Jewish and/or Christian), that is to say they profess a belief in the Jewish religion and/or follow the teachings of Jesus, the renegade Jew. Among the Judeo-Christian businesses, they believe that because they are aligned with churches (covering a wide spectrum of religious variety) who follow the teachings of similar texts of the Torah and the Bible, their businesses are more blessed as they go about their day-to-day business. There exists a network of Jewish and Christian businesses, and their supporting one another in their businesses in a you-scratch-my-back-I’ll-scratch-yours approach to supporting other business owners who also profess Judeo-Christian beliefs, is also attributed to their success. I am in the unique position to be working with these businessmen and women in the trenches and I see them having the same challenges behind the scenes of their businesses as other business owners who do not profess religious beliefs, yet the fact remains: businesses owned by practitioners of these sects out-perform their secular competitors, with better bottom lines and increased longevity. From my point of view; I believe I have a clearer understanding about why these businesses are more successful and my conclusion may surprise you. 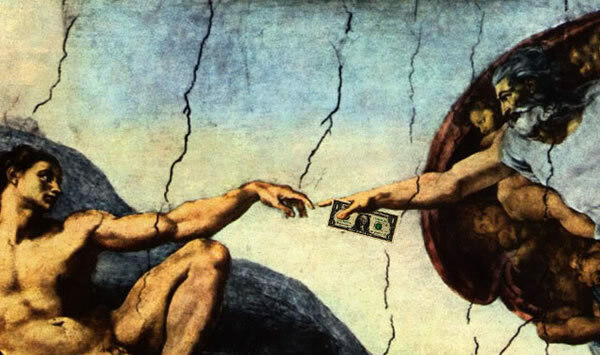 There is an Abrahamic cevenant referenced by the Judeo-Christian believers that imbues them with certain preferences toward financial abundance and increased blessings by God for being God’s favorite and faithful. When they face struggles in their businesses, they can pray and/or appear to the faithful for support. And what better business assistance to accept than that of the Almighty God from heaven and all His angels! It’s an amazing gift to be able to reach outside of one’s self and be open to the idea that you have access to the divine for solutions to one’s problems. Though unexplainable by science, the statistics prove the power of faith and prayer, both effective when used as business tools. This is the one that’s likely to catch you off-guard. Like, how could belief in the devil help increase businesses owned by believers? Isn’t the devil the bad guy? The devil actually gives these believers the extra wherewithal to withstand the ongoing battle for their business success. Why? Because (it is assumed) the devil wants to break the Abrahamic deal with the believers and will do anything he can to make their businesses struggle and fail… and if he (the devil) can thwart their business efforts, he may be able to even shake their faith in God. Being able to quickly identify an adversary can help a potential victim take massive action to create an effective defense and countermeasures to increase one’s odds of emerging victorious. It is this good vs. evil and support of a deity in business that gives the believers the business advantage over their non-believing competitors, who are more likely to abort their businesses when their day-to-day business dealing become problematic; while believers have greater stamina through hard (or lean) seasons. I’m a communicator; it’s what I do. How can something so simple, like stacking words in a certain order to convey one’s thoughts, be so complicated? I can assemble a little 140-character text (laughing and giggling about how innovative, clever and humorous I’ve been in my word assembly) and press SEND. Within moments, I receive a barrage of complaints, accusations and abbreviations, like OMG, WTF and/or blocked, unfriended, deleted or reported as spam. Now, I feel bad because SHE reared her pretty head and stuck that cute little nose right in the middle of my attempt to reach out and communicate with others. 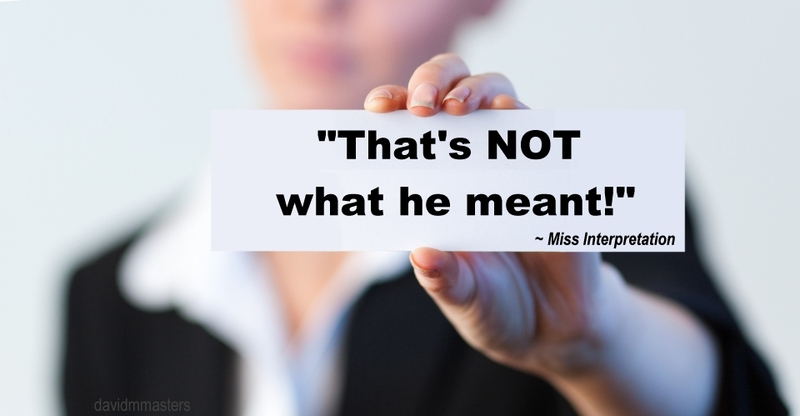 With a name like, “Interpretation,” you’d think she’d exert all her efforts in helping people understand what message I was trying to convey… BUT NO-o-o-o, she’s got to stretch, twist and garble it all so as to have the worst possible outcome. Little Miss Interpretation has been at this as long as I can remember. As a kid, I’d try to express myself to my parents and get sent to my room or punched in the face. I’ve said things (and been fairly adequately quoted) from the pulpit, stage, conference room, boardroom, classroom or office with the best intentions, only to have MI mess things up for me. There I was, fully intent on effectively communicating when she walks in and gets everyone all riled up, offended, objecting and ranting about something that wasn’t even intended to be included in what I was talking about. How does she do it? A relentless barrage of old information that is highly charged with negative emotion, causing the individual to think that danger may be ahead. Forget everything I’ve ever said before this moment. Now, all attention is on this word – or phrase – that harkens to a time that may have been dangerous (or at the very least unpleasant) and now I (the messenger who used the word or phrase with the best of intentions) am an assailant. How does she wield so much power over us? And I’m the first to admit, that even though I work hard on kicking her to the curb every time she tries to interrupt someone else’s monologue, I too, have fallen victim to her manipulative influence and subject to mounting up to do battle or cut-and-run. She does seem to have access to all my personal baggage accumulated since birth, and she’ll use anything she can get her hands on to derail (initiating fight or flight response) an otherwise potentially meaningful exchange of information between two people. I don’t know… I think it’s because she hangs out with that little child inside us and that’s how she gets her kicks. Or maybe her intentions are good; it’s just that in an effort to protect us from harm’s way, she sees everything as a potential threat… even when it may not be a threat at all. Can you believe that people are still paranoid about privacy? 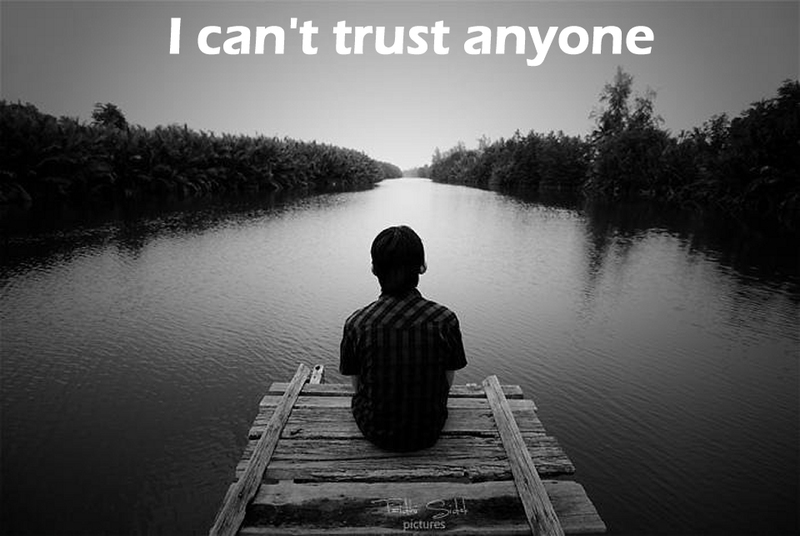 Granted, I know some people are invisible. They have successfully dropped out of the system and cannot be found. They have no legal name, address, phone number… You will never be able to find them via Google search, Facebook or any other social media. Criminal records have no search results. It is likely that even Homeland Security doesn’t even know they exist. These folks are of the persuasion that Big Brother is alive and well and wants to track every move you make. And you know what? They’re absolutely right. … And it’s not only Big Brother; it’s the government, accumulators and purveyors of data, social agencies, businesses, advertisers, some authorized others more stealth, even criminal. It goes on and on, 24 hours a day, seven days a week. They know who you call on the phone and what words you prefer to use, on the phone and off. They know what routes you routinely travel and your preferred mode of transportation. They know what times you’re likely to be online, and what you’re most likely to look for with a certain sense of predictability. They know what you’re likely to buy at the store… and to some degree, they know what items will distract you from your predetermined shopping intentions. They know what foods you buy, how you store and prepare them; when you eat at a restaurant, which restaurant you’re likely to visit, what you are most likely to order and how much of a tip you will leave your server. They know where your eyes are likely to navigate to as you go about living your everyday life. They know where you work, how effective you are at work, what location in the building you occupy, when you take your breaks and what you do while you’re on break. They know what you watch on TV, what you listen to on the radio or even in the privacy of your own home. They know your political views, religious preferences, what makes you laugh, cry and what gets you angry or defensive. They know your friends, relatives, acquaintances… and, yes, even when you are most likely to make a trip to the bathroom; and why. Actually, nothing could be less true. Either fortunately – or unfortunately – I have worked with people who have engaged in the collection of this data, from military surveillance to law enforcement and mostly business-related entities who track everything. For the sake of protecting confidentiality – and to prevent causing alarm or paranoia – I would not go into the specific detailing of all of the tactics I have witnessed first-hand in the collection and management of all the aforementioned data. Suffice it to say, it is both compelling and overwhelming to say the least. There really is nothing I can do about it, except to accept the izness of it all. No, it doesn’t sound much like the “freedom” that I thought we were honored with as citizens of the Unites States of America. The best I can do, is to stay on-track; not let the knowledge of the lack of privacy consume me or derail me from my life’s mission and allow others – whose mission it is to ferret out the details and present other options, or not – to take on this topic and support them in their efforts. Let this not be a distraction to you in your mission to live a better life, do your best, or make the world a better place. This is only a clear indication that the world needs you as a force of all that is good – now more than ever – to help preserve a sense of balance and not to stop our evolution. and prove to them that one person can make a difference. Okay, you have your dream, you have your team, now focus like a laser beam. You know what you want, you have a support system in place, now it’s time to create a map that will be a straight line from where you are to where you want to be. Chart your course from here to there. Let’s say you want to buy a business for $200,000.00 in one year. That means you’ll have to raise around $17,000.00 a month to reach your goal. You have one main goal of $200,000.00 in 12 months; next you create smaller bit-sized goals to get you from here to where you want to be. In this case, it’s about $3850.00 per week or $548.00 per day. If your goal is to write a 350-page book in a year, the math is simple. One page per day will get you from here to your goal in 12 months. Oh, about the laughter from the entrepreneur’s peanut gallery… They know that even the best mapped out plans rarely goes as planned. This is why you need a team. Your team is there to help you trouble-shoot in the moment when Murphy’s Law rears its ugly head. You are prepared for any challenge. This is the advantage of having as many intermediary goals as possible because as soon as you are able to determine a glitch (not reaching your short-term goal) you can call an emergency meeting with your team. Your team can review all the available data and help to re-structure advertising, marketing or promotional approaches to recover the loss as quickly as possible to get you back on track. After your team has revamped your system, if the results were unrecoverable; then it might be time to restructure your goals completely. Maybe reaching your goal in one year was too lofty, it may be time to stretch it out to 18 months or two years. This is the nature of the creation process; it rarely goes according to plan. You must allow for unforeseen contingencies and be able to make minute or major adjustments on-the-fly as necessary at the earliest determinable point in time. 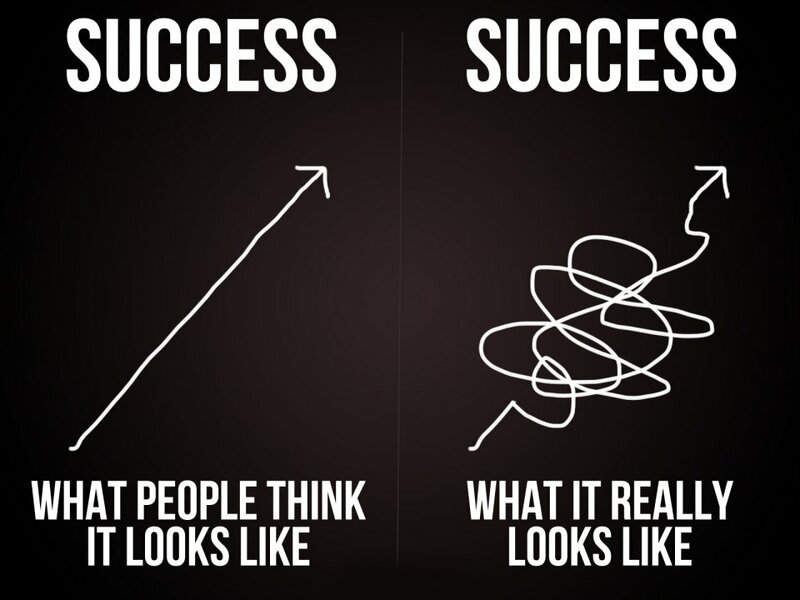 The quickest way between two points is a straight line (which can be arguable according to some engineers and physicists), yet in real life – even the best laid plans – the road is a twisting and curvy path with unexpected detours, accidents and road construction that lies ahead. The key is to stay true to the course regardless of the changing terrain or travel conditions. Exception: Know when it’s time to abort your dream and dream a new dream. Your team can also help you determine when it is not feasible to continue pursuing a dream that may not be attainable at all. How many times has an entrepreneur remained committed to a project that was an endless money pit? It happens. Sometimes the passion of the dreamer exceeds the required components necessary to see it through to fruition. Not that it is not possible, because everything is possible given enough time and money, but your combined resources may not be adequate to make it happen. Likewise, knowing when to bail and seek a new project can keep you out of trouble. Be willing to let go, if necessary, it can save your business (and possibly your family and life expectancy).